Did the State Department ban Marines from carrying ammo at the U.S. embassy in Cairo? That’s what some are reporting, as well as claiming our Ambassador to Egypt, Anne Patterson, had forbidden it. At least Marines were present at the embassy in Cairo; despite initial reports, Marines weren’t present at our Libyan consulate and Libyan security hired to protect out ambassador gave him up to protesters. 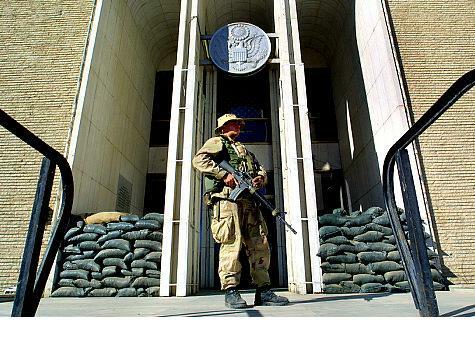 How many other of our embassies lack adequate protection?